The term “batik” has become rather famous globally over the years. With its long stretch of history and dedication, each artwork is often produced with integrity and perseverance. For those who are not very familiar with batik, it is a fabric dyeing method that results in beautiful patterns and imagery. To create a batik art, selected areas are covered with wax to resist the dye from penetrating the fabric in certain areas. In the end, any parts that are covered with wax will show up as an image after the fabric is dyed. The wax can be painted on, printed on, or even splattered. The burst of colours and uniquely designed printings on batik have largely contributed to its worldwide fame. From fashion runways to our humbling homes, the batik trend served as a timeless and classic design in several aspects. As the global creative trends forges towards a monochromatic and minimalistic design, Dulux recommends an addition of batik prints in the room to liven up the space. 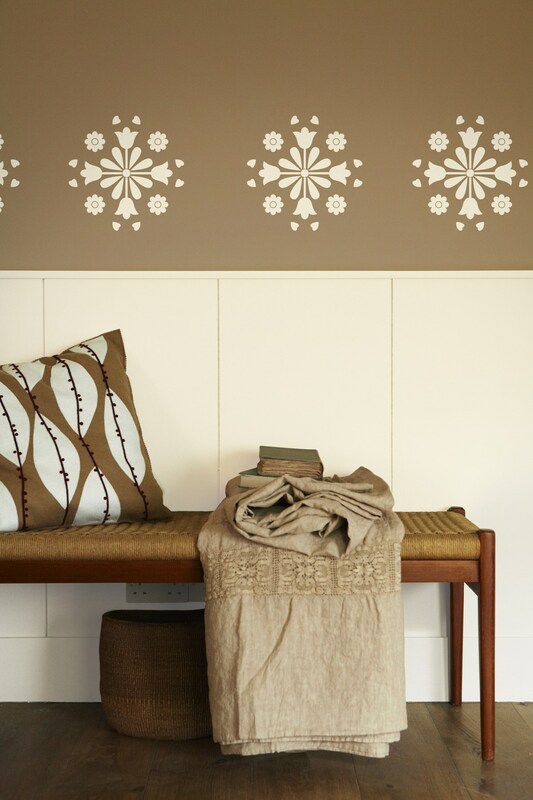 One of the more common approaches to integrate batik into interior decoration is through the use of wall stencils. To start off, you’ll need a stencil, stencil brush, painter’s tape, pencil, your preferred wall paint colour, accent paint colour, some paper towels and a ladder. 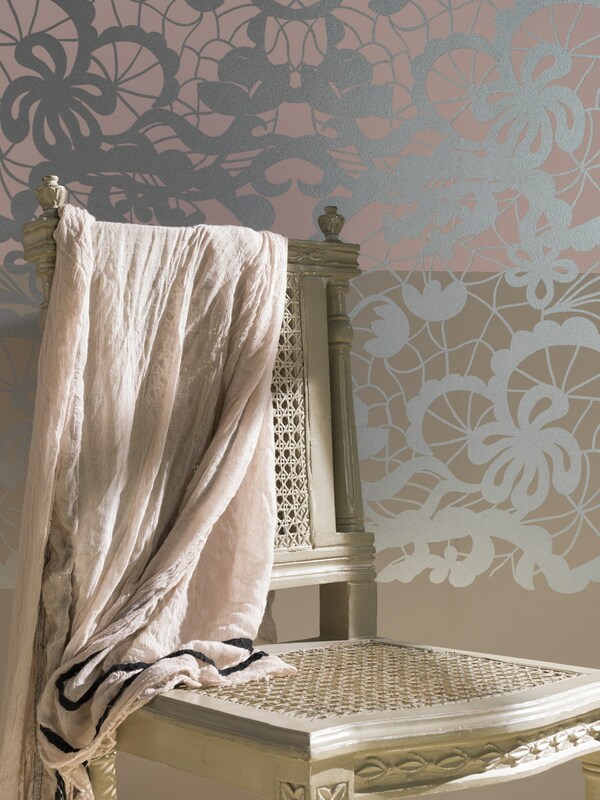 Pick a wall and select a desired batik stencil design. 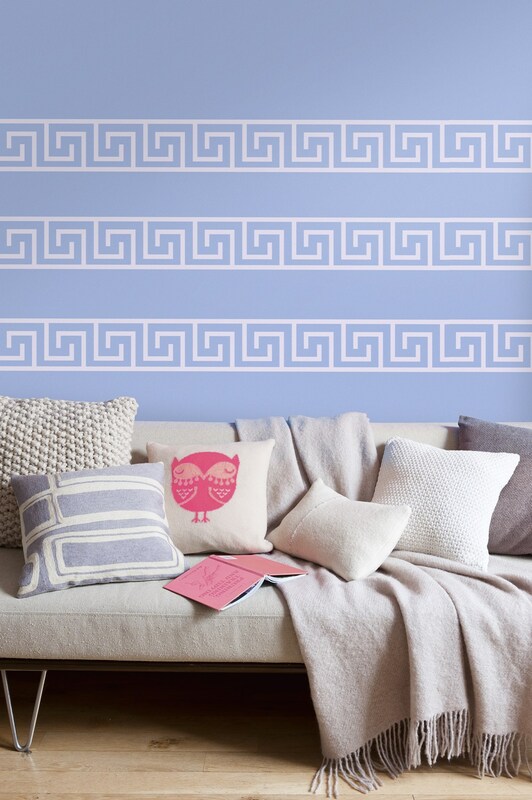 Then, mix and match the wall colour and accent colour to paint your desired stencil design. Before applying the paint, make sure you clean the walls to ensure a smooth finish. Surface must be free of dirt, grease or wax. Once those preparations are done, you can now repaint the feature wall with your desired colours. For more inspirations, you can refer to the Dulux colour catalogue for its wide colour selections and range of colour choices with a smooth matt finish. For those trend goers, you may try out the must-have colour for 2017, Denim Drift (also known as Smoke Grey) as it is highly versatile and would look well in your living room, dining hall and bedrooms. Next, determine a design layout and position the selected stencil design at the starting point. It’s not necessary to design the entire wall, in fact, you may choose parts of the wall for stenciling to subtly enhance the room design. You may attach the stencil using the prepared painter’s tape. Accent colours are usually used for emphasis while designing a surface. The colour can sometimes be bold or vivid to act as a striking contrast with the wall colour, or it can be a more toned down colour depending on the surrounding colours. Some homeowners would prefer a neutral or darker shade to avoid being over the top. The accent colour recommended to go with Denim Drift would be different blue tones that all complement each other where the magical contrast between both colours oozes sense of classiness and sophistication hand in hand. While designing the wall, the stenciling process should be done using a dry brush method by dapping the brush against stencil openings. The excess paint can be removed by dapping the brush on a paper towel. This can avoid paint from seeping under the stencils which would affect the wall. It is recommended to start with the outer edges of the stencils to create an outline first before filling in the inner parts. When applying the paint on stencils, be sure to hold on to the edges and apply relative pressure to ensure sharp finishing for design. Be generous with your paint, as you want to make sure that it’s coated fully and evenly. Just keep repeating the process until the desired design area is covered. Do remember to mark the edges of the stencils before moving it to ensure a neat alignment. When you reached the edges, don’t be afraid to trim the design a little to fit the space. 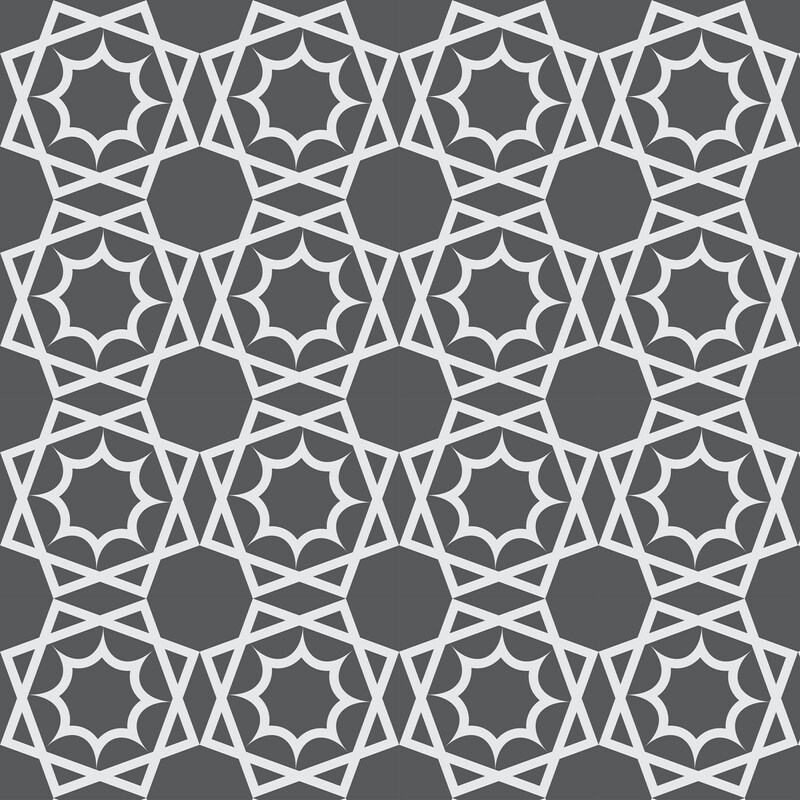 As long as it’s symmetrical, it should look fine on your walls. The key is to create a seamless finish mirroring the effect of a wallpaper – maybe even better looking. Don’t be afraid to play around with the palettes available from Dulux Pentalite series. For a classier and minimalistic interior, you can choose to go with a darker wall colour closer to black and contrast it with a lighter colour. If you’re more of an adventurous and colour frenzy person, don’t hesitate to jump into vibrant colours. Stenciling can be a long and tedious process, but the outcome is often rewarding. Remember to sit back and enjoy the mesmerizing self-made masterpiece. Everyone’s a painter with the right colour, so feel free to “batik-fied” your home. 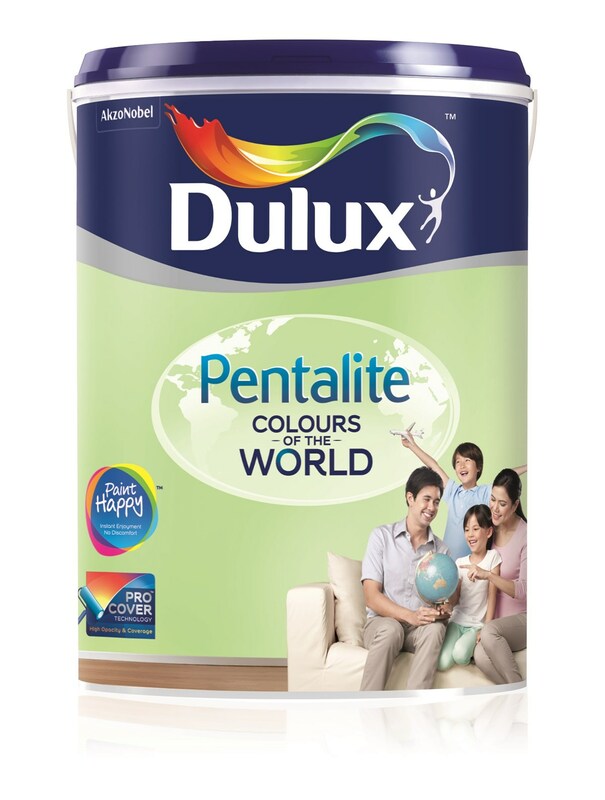 For more information on Dulux Pentalite Colour of the World series and primer series or to contact the Dulux Colour Consultant for assitance, please visit Dulux’s website at http://www.dulux.com.my.